Hot T&S B-WH6 Chrome Plated Wrist Action Handle 6"
This T&S B-WH6 wrist action handle fits all T&S faucets to provide easy faucet usage. 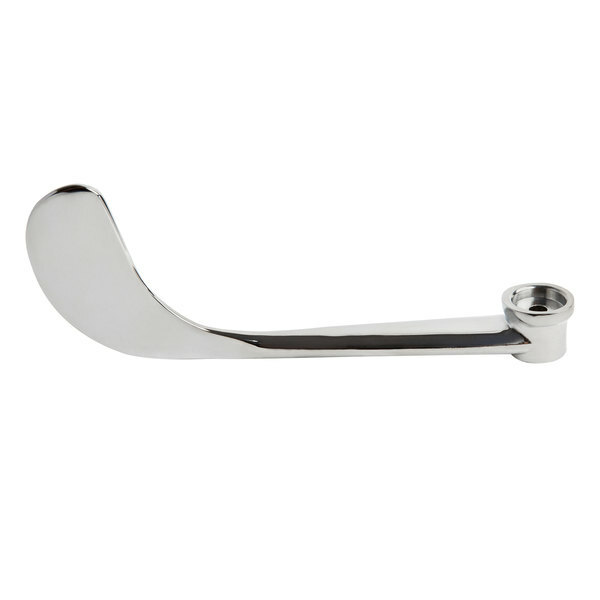 It's made of durable, chrome plated forged brass, ideal for use with bar/prep, kitchen, laundry, and lavatory faucets. Includes snap-in index. T&S B-WH6 Chrome Plated Wrist Action Handle 6"